The hadith, “God is Beauty and loves that which is beautiful,” led to the creation of a language of Islamic art that is luminescent, dancing with divine splendour. Making art is an act of devotion wherein the artist is sanctified and viewers are blessed through their experiences with the beauty of the creation. 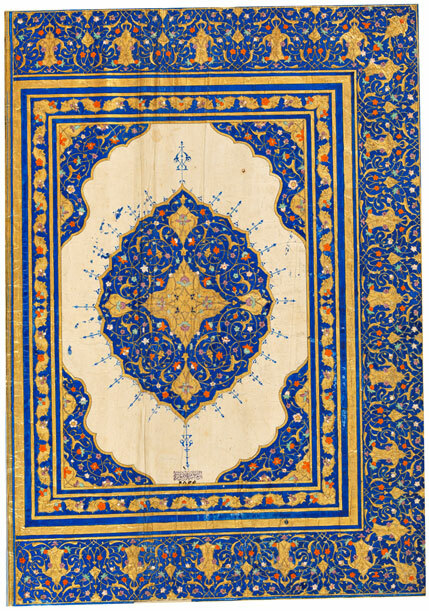 Islamic Aesthetics addresses the endless inventiveness of the peoples who profess this faith, from lands stretching across the Atlantic to India and the borders of China and Southeast Asia today. The course privileges the tenets and themes that developed in a very short period, rather than a reduced, linear study across space and time, resulting in radically changed but synthesised forms. It examines the “language of culture” to contextualize both the form and content of Islamic aesthetics. The Qur’an is the source of all inspiration and although it has no direct commentary on art or its processes, the rhythmic repetition of the names of an abstraction, Allah, cultivates ecstasy as the text streams in an uninterrupted flow. 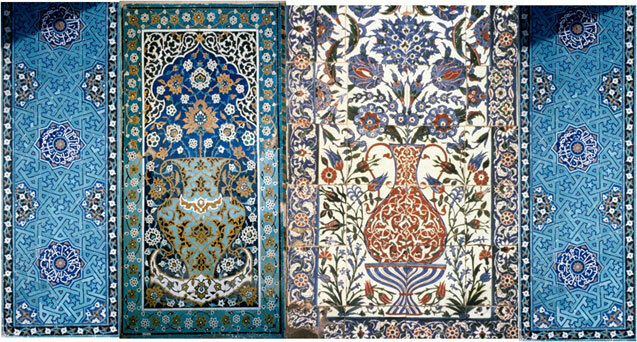 Evidenced in abstract ornamentation, perhaps the most important domain of Islamic aesthetics and the most characteristic artistic genre, calligraphy, plant-based arabesque, and geometric forms contain artistic references to and reminders of the Divine Being. The course weaves these elements not only through examples of the innumerable copies of the Qur’an, painstakingly produced by masters as acts of piety, but also through religious and secular architecture, manuscripts, and objects of everyday use. Scholars discuss architectural archetypes of the mosque, oriented towards the pivot of Islam, the Ka’ba, covered “like a bride” with the kiswa or silken veil; the palace, emblem of courtly splendour, political power, and patronage; the mausoleum with its attendant mihrab, lamp and screen; and, the madrasa where orthodox Islamic sciences are taught. Manuscripts range from kingly biographies to illustrated and illuminated poetry and are understood in the context of the injunction against figural representation as well as iconoclasm. Moreover the art of everyday life, whether in the form of metal ware, ceramics, rock crystal, glass, carpets or textiles become exemplars of “otherworldliness” as well as provide the subject matter of the study of patronage, trade and marketplace. The mystical realm of Sufism, its variants and practice, is an important corner stone in the study of Islamic Aesthetics. Tracking the histories of the “unruly friends of God” and the itinerant dervishes through poetry and painted manuscripts brings into sharp focus the reception of this unorthodox stream. 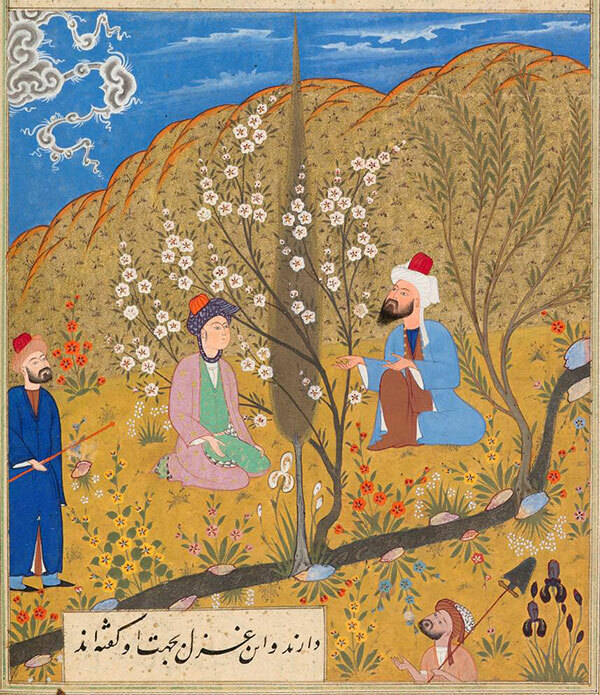 Last but not the least is the centrality of Gardens and Paradise, both called djanna in Arabic. Described in fecund images of streams, rivers, fountains and lakes with variegated and breath-taking flora, earthly gardens occupy an important place in Islamic aesthetics, reflecting the heavenly ones. These manifestations of faith and an environmental quest of radiant magnificence are examples of a sophisticated urbanism, a far cry from the nomadic beginnings of Islam. The course thus endeavors to navigate between the two fundamental ideas of Islamic art and aesthetics – first, that all art forms provide aesthetic possibilities of referring to God’s Being as the very essence of beauty and indescribably sublime; and second, that of Paradise to come, created for the just to inhabit, a place of peace and plenitude suggested in all creativity. How did political ideas and political events coalesce and interact when there was no commonly agreed constitutional paradigm to glue a society together? This seminar series addresses this question in the context of the Timurids, Turkmans, and Ottomans in the fifteenth century. Prof. Binbas’ analysis will combine the rhetoric on kingship and ideas on governance in specific political contexts, and he will discuss the wide range of political and constitutional paradigms that emerged during this period. This seminar focuses on the architectural cultures of Timurid and Turkmen Iran-Central Asia and the Eurasian Ottoman Empire during the fifteenth and early sixteenth centuries. Iconic monuments will be contextualized in their urban, aesthetic, socio-cultural, and political settings. Transregional exchanges are explored alongside indigenous architectural traditions, with particular attention to materiality and ornamental aesthetics. An overarching theme is the translation and transformation of the international Timurid-Turkmen architectural idiom in the Ottoman capitals of Bursa, Edirne, and Istanbul. Day 3 - The Formation of a Distinctive Cosmopolitan Aesthetic in Ottoman Constantinople-Istanbul between the late 15th and early 16th Centuries. The arts of 15th century Delhi Sultanate, corresponding to the Sayyid (1414-1451) and Lodi (1451-1526) dynasties, have long been overshadowed by their Mughal successors. Beginning with an introduction on the state of the Sultanate after Timur’s invasion (1398), these series will focus first on their extant architectural legacy (buildings and decor), to be compared with monuments from other sultanates (Jaunpur, Gujarat, Malwa). The question of the almost unknown secular and palatial architecture of this period, again to be compared with contemporaneous remains in other sultanates, will be further analysed. 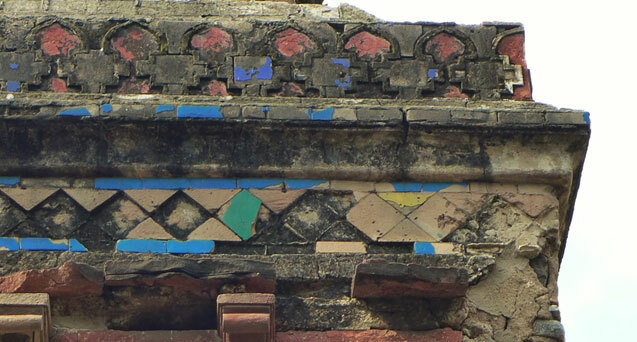 Finally, glazed tiles, acknowledging a spectacular use during the Lodis, will be studied in detail. Further links between architectural decoration (tiles and stucco) and other arts (mainly manuscripts’ illumination) will also be explored. The “Seat of the Throne” in 15th c. Delhi sultanate. Tombs and Mosques under the Sayyid and Lodi dynasties. Lodi Glazed Tiles, Stucco, and Manuscript Illumination. 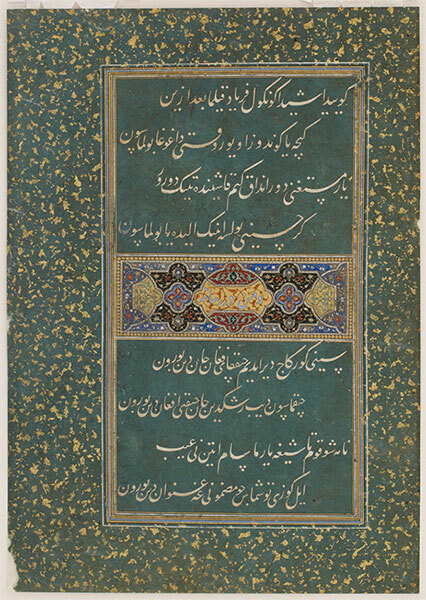 This seminar series addresses the production, patronage, and circulation of manuscripts in Arabic scripts in the Persian-speaking sphere from the time of Timur (or Tamerlane, d. 1405) in the late fourteenth century to the rise of the early modern empires in Iran, Turkey, and India around 1550. The seminars both introduce the visual characteristics and shared aesthetics in the arts of the book in the three political and cultural spheres and offer an opportunity to investigate regional adaptations of and local responses to the so-called metropolitan styles. They will shed new light on the concepts of centres and peripheries within the pre-modern Eastern and Central Islamic worlds by focusing attention on the main components of the book: calligraphy, illumination, and illustration. Codicological investigations have challenged the study of Qur’anic manuscripts (muṣḥaf, pl. maṣaḥif in Arabic) as works created in specific cultural contexts. This methodological approach, however, has also opened new avenues of research and encouraged the understanding of the transcribed Holy Text as a whole and its role and position within a global, albeit complex, production and consumption system. Through both codicological examination and art historical mise en perspective, this lecture investigates the materiality of Qur’anic manuscripts in the fifteenth century. From the Mediterranean world to the Indian subcontinent, these volumes both emulated earlier models and developed new and original visual presentations. Innumerous copies were commissioned by members of the elite across the Islamic world. They were acquired and collected for the finest libraries and treasuries as well as exchanged as gifts and booty. Thus, they were in constant circulation, resulting in the emergence of a “global” aesthetic language for the Qur’an.